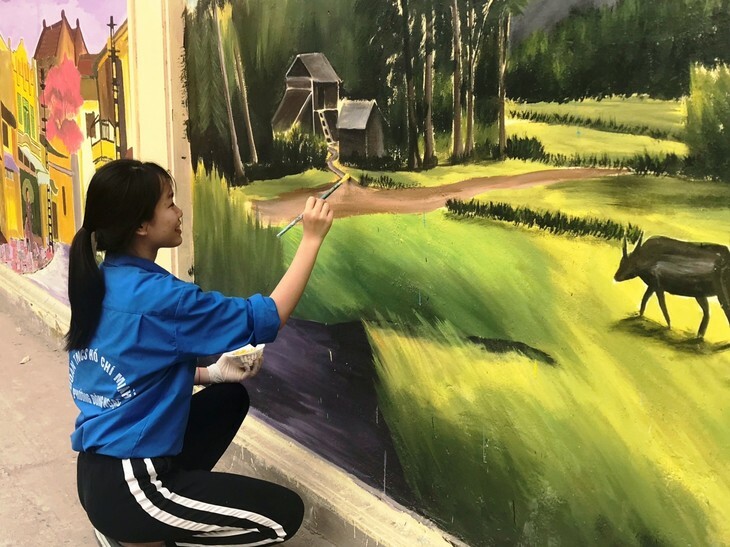 (VOVWORLD) - After 18 days of hard work, 40 young people completed a set of murals in Dong Ngac ward, Bac Tu Liem district, Hanoi. 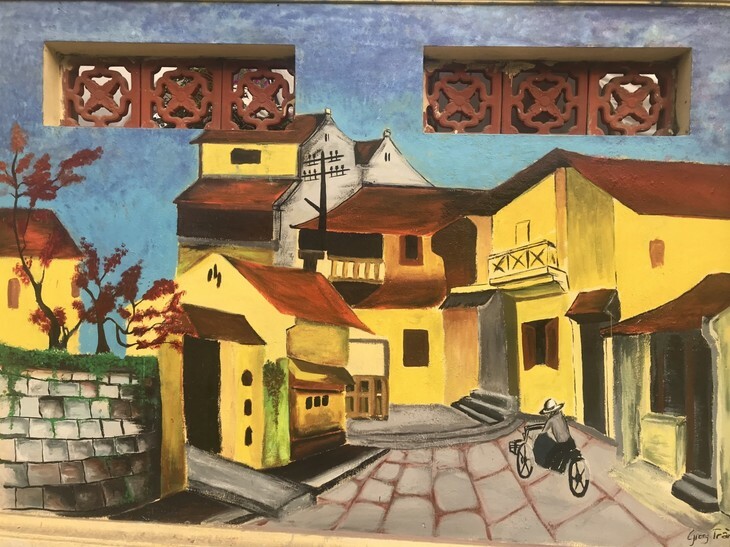 With vivid watercolor paintings depicting characteristic local features, the murals help residents recall the rich past of Dong Ngac. As a second-year student at Hanoi Architectural University, after his daily studies, Ngo Trong Nghia actively participates in extracurricular activities of Dong Ngac ward’s youth union. 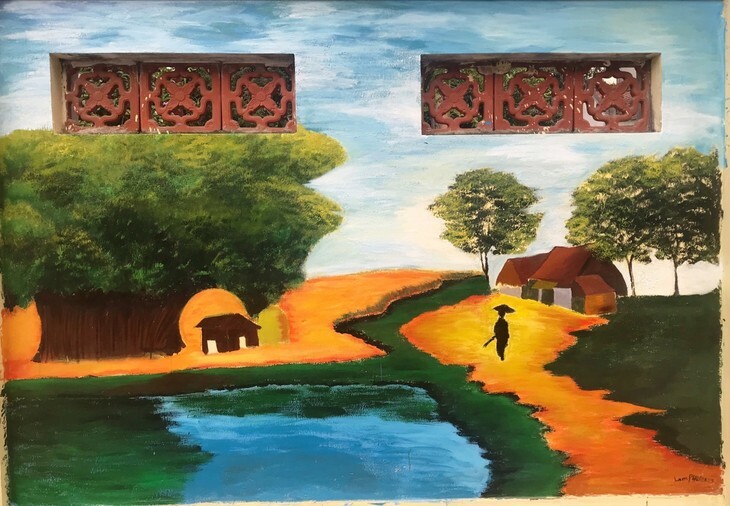 As part of the youth movement philosophy to express themselves through a variety of materials and mediums, Nghia took the on role of sketching on mural street in Dong Ngac village. “My goal is to bring people of all ages together, creating a new space where history and modernity can meet and coexist. I want to expand the scale of this street, so that everyone can contribute their voice to this new environment,” Nghia said. The 17 paintings amazed local residents. 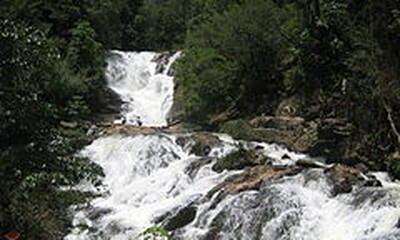 They feature Dong Ngac’s unique cultural traditions such as Ve communal house and its traditional festivals and folk games. 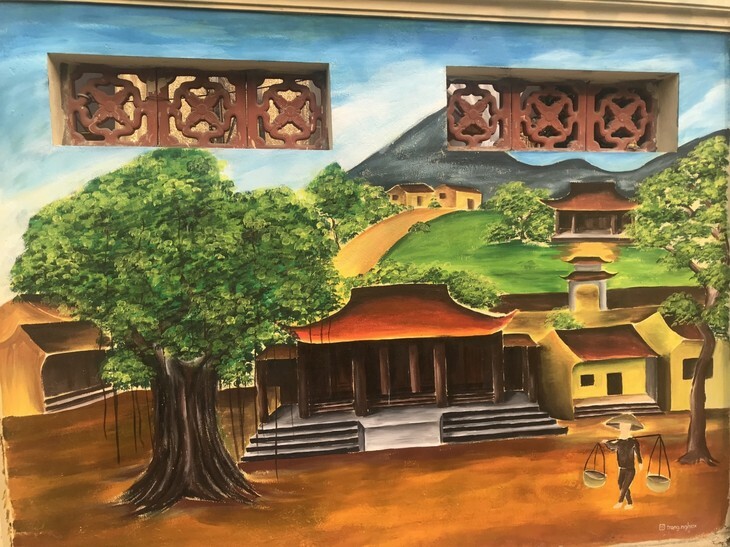 The youth painted a picture of Dong Ngac in the old days with banyan trees, a well, a communal house, and a variety of ancient houses. 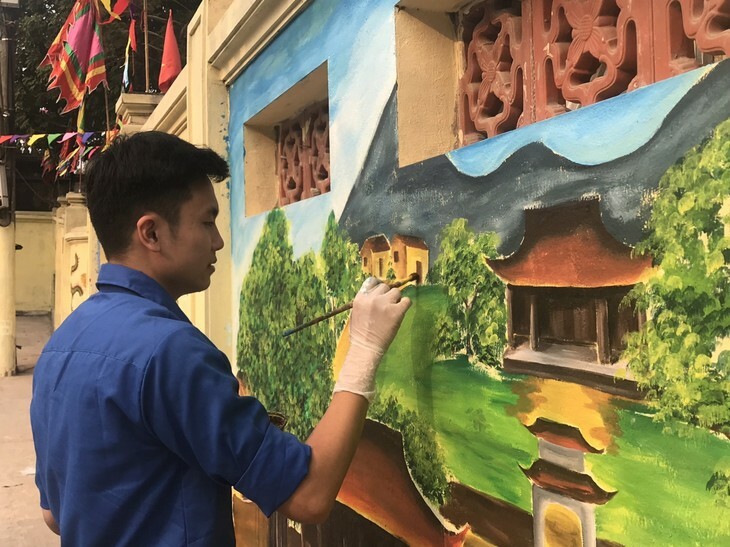 In the coming time, they intend to spread mural painting to other streets in the area, thereby conveying the beauty and poetry of life, raising people’s awareness, and joining hands to increase the cultural richness of Hanoian life.